My last post was about maybe people with Down syndrome being imbued with some acting gene. This post is about the role of a Down syndrome actress. Just watched the film Anita (2009, Argentina) based on the real event of a 1994 bombing by Iranian terrorists targeting Jewish citizens in Buenos Aires. Insert a fictitious story line of a woman in her 40’s – Anita* – with Down syndrome separated by her family because of the attack who encounters various people in search to find her mother. My mom loved the film and as T’s mom I was ambivalent. Anita’s brother only interacts with her as a child who he head butts and talks to about turds. Ok, my older brother still likes to fart when I am around just to see me squirm, but that might be different. Anita’s mother doesn’t feel comfortable leaving her in the apartment alone for more than 5 minutes. However, she leaves her alone in their small shop to go to the administration building when it is blown up. So, that is at the most an inconsistency. I leave T. downstairs watching Yo Gabba Gabba while I sneak in a 3-minute shower. But, my hurriedness is about him being a toddler not a Down syndrome toddler. Anita is instructed by one of her temporary guardians to stay put and not leave while she is at work. This instruction results in Anita soiling the couch. OK, this is an unfair comparison as T. is toilet training and cannot be left alone because he’s 3. But, as a 40 year old would he follow the instruction so literally he would do the same? In one scene, played for joyfulness, Anita is spun around in a shopping cart by a group of small children who are playing with her. She is obviously enjoying it and the kids are thrilled. I don’t want to see my T. at 40 years of age doing that. What if it was a typical 40 year old would it be sweet? OK, if it were Steve Carell or Will Farrell. This film is seen as a triumph of the human spirit in the face of adversity. Why can’t I see it that way? * An actress who has Down syndrome, Alejandra Manzo in a debut performance that is amazing, portrays Anita. 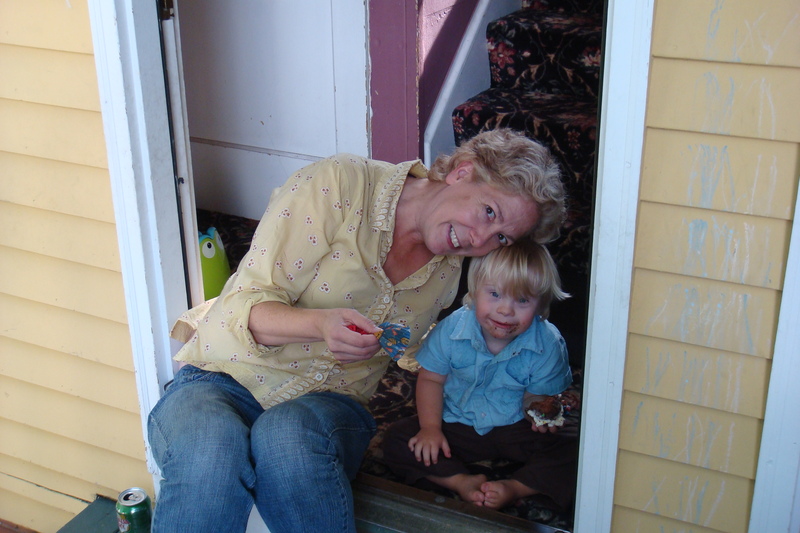 I once listened to a show about parenting children with Down Syndrome, I think on NPR. A comment the ‘expert’ made stuck with me ever since. This is not verbatim, of course, basically she said that the worst parents for a child with Down’s is a biological parent. The expert went on to explain, that people who have great experience with these kids know how much to expect. (A LOT) And very often people who get these kids as a surprise (bio parents) tend to infantilize them. The expert had parented a child (or several, I can’t remember now) with Down Syndrome and she not only expected them to do their best, she absolutely insisted on it. And, no surprise, her child excelled! I have not a drop of experience or expertise, but your post shows you will ensure that T reaches his greatest potential. Thank you for reading and commenting! That is certainly our hope that he reach his greatest potential. Most parents hope right? I can’t agree with the NPR story though – we aren’t any better at this than a biological parent. Honestly, we feel like we are stumbling forward hoping we are doing something that will be right.